Q: What screams preppy to me? A: Navy and white stripes, Jack Rogers, pearls, and tan leather. And popped collars... madras... signet rings... I could go on. I always fall back on preppy style. It makes me happy and reminds me of my childhood, and hey, it looks pretty good on everyone. I had never heard of the brand Hatley before until I scooped this dress up at a local boutique in Pennsylvania when I was down there. The cotton is so soft and the cut is fantastic for the price point. 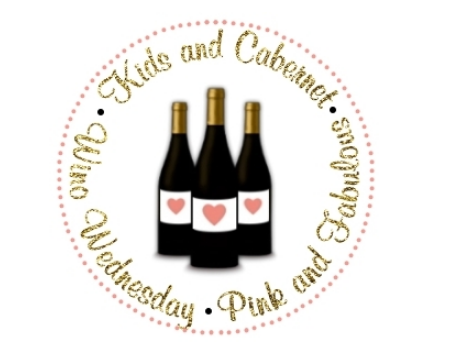 I can't wait to check out more of their goodies - including tons of adorable kids' clothes! Cute dress! It looks super comfortable! 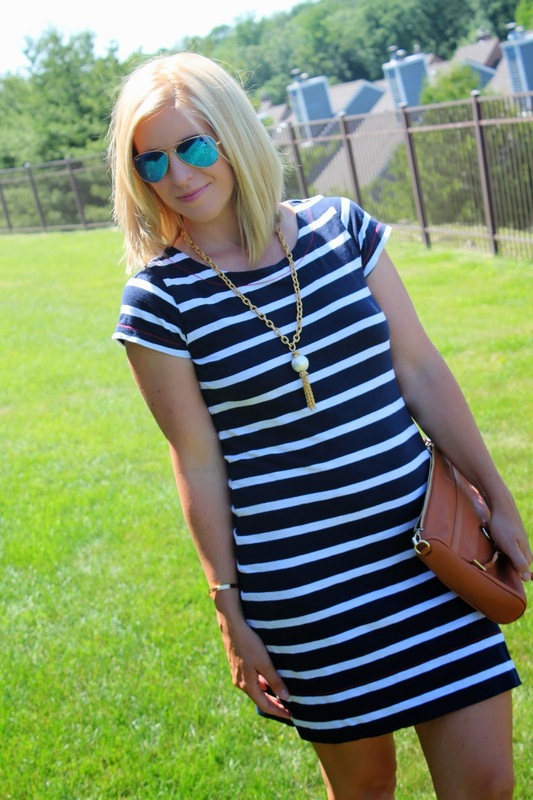 Yes to the striped dress and yes to the Jack Rogers! I need to get a pair of those.. they go with everything! Nailed it! 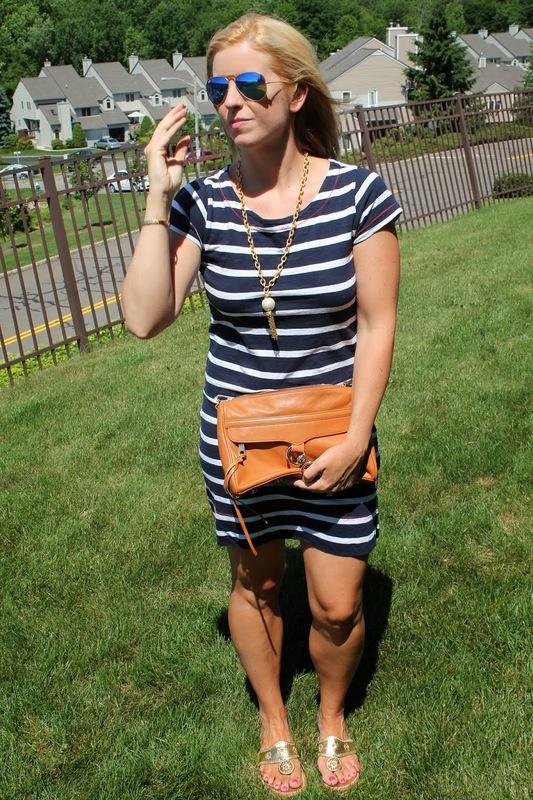 Yes to navy, stripes, tan leather and jacks! I will never tire of dressing preppy either.